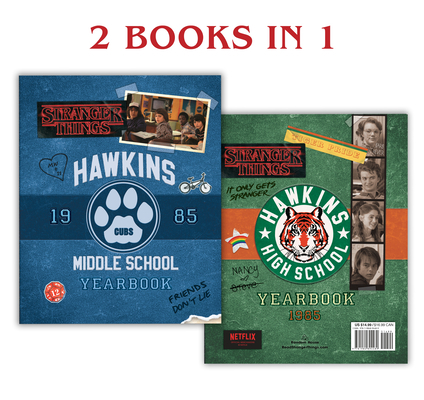 Two Hawkins yearbooks in one--based on the Netflix series Stranger Things! Based on Netflix's Stranger Things, this vintage '80s yearbook is really two books in one. First, visit the middle school in Mike Wheeler's annual, then flip it over and feel the Tiger pride in Nancy Wheeler's high school yearbook. Filled with class pictures, AV Club candids, lists, inscriptions, and secret notes, this is sure to fascinate fans of all ages.